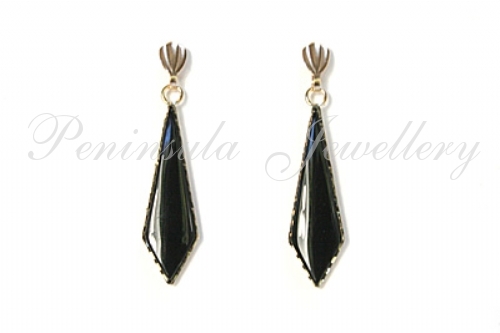 Stunning Black Onyx earrings, elegantly simple, to suit all ages. The mounts are in solid gold with diamond cut edging to accentuate the beauty of the Black Onyx. 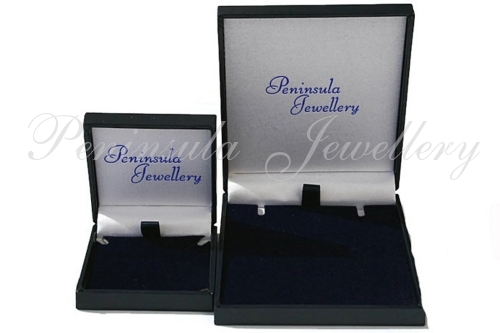 Dimensions: 27mm from top to bottom, 6mm wide at the widest point. Scallop fronted posts and scroll fixings in 9 carat gold. Presented in a luxury gift box. Made in England.